Some of the worst outcomes that a buyer can have when resourcing fiber drums occurs when the advice being relied upon is not expert advice provided by a reliable, knowledgeable, and experienced supplier. The wrong package for the wrong application can lead to damaged product, lost production, and fines/penalties for non-compliance with DOT regulations. Knowledge of the vast number of available sizes (1-75 Gallon) and types, i.e. Lock-Rim or All Fiber, are examples of the expert advice that can only be obtained by a fiber drum expert. Many buyers may not be aware of the solutions available to them. Since all products and suppliers are not created equal, we asked fiber drum expert, Don DiPiero, President of Youngstown Barrel & Drum Co., located in Youngstown, Ohio, about the many options and the best solutions to meet the fiber drum needs of end users. Q: What happens when the wrong fiber drum is used? A: Fiber drums come in a large variety of heights, diameters, weight capacities, and closure styles. If a fiber drum is chosen that cannot support the weight of the contents being put into it, the result can be costly. Q: What are some of the most important considerations when choosing a fiber drum? A: Simply choosing a lock-rim fiber drum from a supplier who does not understand the application of its intended use can lead to safety issues when stacking filled drums. For example, in the case of the wrong fiber drum being used, the drum at the top of the stack may tumble as a result of the drum at the bottom being unable to support the weight of the stack. In addition, the drum and/or contents may be lost or damaged. In this case, the weight capacity of the fiber drum is critical. Q: What are some of the most important questions to ask a supplier when purchasing fiber drums? A: It is important to first consult an expert supplier who has vast experience with a myriad of applications for fiber drums. It is also important to ask for information and advice regarding options that can be made available through an experienced and knowledgeable supplier. For example, ask not only what common sizes and types are available, but also ask if there are other options that you may not even know exist. Q: Are both lock-rim and all-fiber drums suitable for hazardous materials and are they reusable? A: Both lock-rim and all-fiber drums that are properly certified and marked for use as a hazardous materials package can be used to ship certain products. However, once the all-fiber drum has been emptied, it cannot be reused again for hazardous shipping. Be sure to contact a qualified and experienced supplier who can provide reliable, expert advice as to the responsibilities of the offeror of a hazardous material under the HMR (Hazardous Materials Regulations). 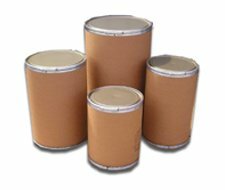 Q: How can I find an expert supplier of fiber drums? A: Youngstown Barrel & Drum Co. has been in business for over 50 years and has built its reputation on providing knowledge, expertise, and award-winning service that few companies can match. Please contact us at www.ybdco.com, or call 1-800-359-DRUM for expert advice not only on fiber drums but also on other packaging options that may exist in order to meet your needs.